Information: Each tutorial will last approximately one hour (max 90 minutes) and will include a mix of presenting material and group discussion. About 10-15 minutes will likely be allotted for a discussion/Q&A period after the formal presentation is complete. Each tutorial will feature a short quiz based on the topics discussed, which we would take up in “class.” Over, for example, a 4 month period, I imagine I’ll run somewhere between 25-30 tutorials. What I will likely do is cover seasonally-appropriate material, where each following tutorial builds on what we’ve learned the tutorial before. For those who cannot make it to a tutorial, but would like to view the tutorial, I will avail the option of having it purchased and sent in the form of a webinar (presentation, along with notes). 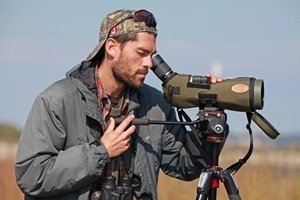 As for the material, I will be covering the entire gamut; everything from field techniques, to useful gear, to the identification of difficult-to-ID bird groups (such as sparrows or shorebirds), and so on. As the season progresses, for example, sometime in April, the tutorials will likely include a field component (or perhaps a “do it yourself” assignment, such as estimating numbers of waterfowl, etc.). During the Fall birding period (August to November) more of a field component (field notes, field assignments, discussion while in the field) will very likely come to the fore. Combo packages: Combo packages (discounted price for purchasing a bundle of tutorials) will be available. Location: Unknown at present. Ultimately, I would prefer that the group relax and learn in a cozy, informal setting, with both food and drink on hand. A brightly lit, prosaic “classroom” setting is not of my preference, to be honest! So, are you INTERESTED in the Eastern Ontario Birding Tutorial Series? Let me know by email!